"Music is natural law as related to the sense of hearing." I have three kids. My two daughters were taught by Zerrin for 6-7 years. She gave them a great foundation for music. Later on they learned to play other instruments with ease and have learned to sing, too. Their little brother has been playing under Zerrin's guidance for over 10 years now. Not only does he love playing the piano, he also has a love for classical music. Since he expressed a desire to attend a music conservatory and become a classical pianist, Zerrin has done a wonderful job in preparing him to make his dream become a reality. Whether your goal in taking piano lessons is to simply brush up on your skills or to play for fun, Zerrin can help you with that. However, what sets her apart from other teacher's is that if your goal is to become a serious or professional pianist, she has the experience and the training to take you to that level. Zerrin has been such a positive influence on the shaping of my children's musical lives. Under her instruction, you or your child will be well prepared. If you really want to be able to play the piano and have always put it off because you think there is no hope, Zerrin is the teacher for you. She is patient, a good listener and always has a lesson plan. In the year I have been taking lessons with Zerrin, I have improvement and my confidence in my playing has completely changed for the better. Zerrin is very dedicated to all her students no matter what level or age. She expects her students to play with all the rules but also makes her lesson fun and interesting. You will never leave the piano studio without learning something new each time. I have been taking lessons with Zerrin Kostem for about seven years and I cannot believe how rapidly I have been able to advance under her careful guidance. I tried a few other teachers before beginning lessons, but none of them were as kind, patient or as fun as she is. She has taught me proper technique and music theory and she loves watching her students master difficult pieces. A former concert pianist, she is the best piano teacher one could ask for. I just completed my second year as one of Zerrin's students. Zerrin makes my weekly lessons a time to look forward to. She is a very dedicated and accomplished teacher, and she manages to make the sessions fun and informal, while keeping a serious focus on the learning process. How she does it, I don't know, but it sure works. I feel very lucky to have found such a good teacher. 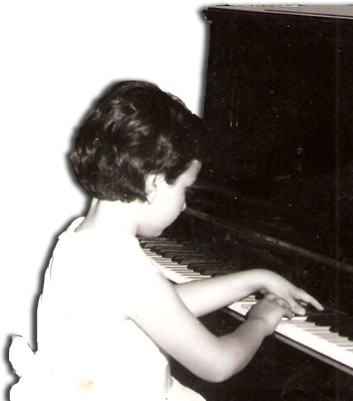 I am a student at the Studio For Piano. I have been studying with Zerrin for just about one year. Zerrin is a master of the piano. She has sustained her love for music and she imparts her knowledge with love to each student she teaches. She is extremely patient with each of us regardless to our skill level, has great sense of humor and most importantly, she enjoys what she does. I am so very thrilled to have an opportunity to study the piano with Zerrin. I have been practicing and playing the piano for over 11 years that of which has been about 8 years with Zerrin. As a high school student, it is extremely difficult to try to tackle the art of playing the piano along side with studies and school work, however Zerrin has a way of effectively teaching me the best overall piano experience. A short overview of the atmosphere of the lesson is an effective learning atmosphere with the tools taught to a student in order to have the potential to master the piano. In my opinion it is extremely rare to find a teacher that is able to effectively provide all the needed knowledge and technique to playy any type of piano pieces, however Zerrin does this well. She teaches not only piano pieces but the ability to appreciate the art of playing the piano, music theory and the neccessary "tools" to not only play well bu most importantly to play beautifully. Before I started my lessons with her, I tried a few other teachers. She is always very patient and I am so glad I found her before I started taking lessons from someone else. With her guidance and instruction, I am now playing pieces I never would have dreamed I could play with just two years of lessons. To leave a comment, please e-mail me.